No doubt that definition of good faith is true of many of the expatriate and local property buyers who are now looking at losing their properties or having substantial fines to pay after discovering that their properties were illegally built. It has gone so far that the Mayor of Marbella has publicly declared that all 18,000 ‘illegal’ properties in the municipality will be legalised because they were bought ‘in good faith’. So, as long as one goes around in a state of innocence with one’s eyes shut and ears closed, it seems one can do anything against the laws of the land and be excused. Unfortunately, there is another little phrase that has a much more reliable history in law, ignorantia juris non excusat – ‘Ignorance of the law is no excuse’. Otherwise, we could all go to court and say, “Sorry, I didn’t know what I was doing was wrong”, and be excused. Another legal principle, without which private property ownership cannot function, is that selling something illegal does not make it legal. Never mind. Over the years a practical basis has been established to create legal ownership where there is a lack of proof of legal title, with appropriate compensation to the person who has ‘lost’ the property. I have underlined in the definition the core of the problem that we have today with regard to Marbella’s granting illegal permission for construction, and which also applies to the problems many people are having with the “Ley de Costas” or Coastal Law. With both of these, could the buyers have known that what they were buying was not legal? The answer to that must be ‘Yes’ as the law was there for anybody to see. Admittedly, you had to know of the problems, but most advisers to buyers should have known of the problems. With regard to Marbella, it was known that the two draft PGOU’s (town plans) created by Sr. Gil’s Council (Gil was a former corrupt mayor, now dead) were not accepted by the Junta de Andalucia (regional government) and thus any permission based on them was not reliable. There must have been the first developer and his financier who said “Let’s take the commercial risk and just do it. It’ll take them years to sort things out and the result will be a fine and in the meantime we’ll have made our profit”. After one had done it, others would say, “Well, they’ve got away with it and if we don’t do the same we will be losing all these opportunities”. And there also must have been the first individual buyer of the finished product who either went ahead without any research or whose adviser/lawyer didn’t advise properly. Others would then come along and say or be told, “He has done it so it’s OK”. Maybe that’s what lemmings think at the edge of the cliff! The most troublesome part of the Ley de Costas (Coastal Law, which nationalised the Spanish coastline, turning private property into public land without compensation), introduced in 1988, states that there should be no building of any kind within 100 m of the high tide mark. It also has regulations regarding proximity to rivers. However, over the years people have built within that boundary and, by ‘getting away with it’, have encouraged others to do the same. In both these cases, if the appropriate legal authorities and/or advisers had acted swiftly at the beginning, the first ‘lemmings’ would have been informed of the illegality of their proposed action and not proceeded. But in Marbella, illegal building still proceeded, even when the Junta de Andalucia initiated and won court actions against Marbella’s town council and individual developments, as greed and ignorance combined to form an unstoppable force. However, behind it all the law churned on, ever so slowly and apparently ineffectually, which is a great part of the problem in Spain. Eventually, we have reached the stage that we are now, with the illegal acts having been stopped, at least in Marbella. So how has it all to be sorted out? The properties are there, ‘innocent’ people have bought them and politicians have been put on the spot to find a way out that will hurt the minimum number of people and keep their votes. The people who are to blame should be the ones who pay the penalty. There are no innocent buyers, as all had ways of knowing the background to the law. If they proceeded without advice, well they took the risk of acting illegally. Most would have been advised by a lawyer or some other ‘adviser’ who will or should have known of the background problems. They have been professionally incompetent at best and working for the seller and not the buyer at worst. They accepted their fees for giving advice, which turned out to be wrong. They should bear the financial burden of their client’s problems. This also applies to the advisers to the banks and developers, although their clients are less innocent as, going back to the definition above, they are not really ‘non-merchants’. They have at least to carry some of the blame themselves for not having carried out the appropriate investigations. Where they have paid individuals for the granting of these permissions that is another matter entirely, as that can go on where the permissions are 100% appropriate. The law must be followed through and those to blame have to carry the cost of compensating those who have lost out. And what about the truly innocent people, being all the others who live, work and play in Marbella? They have lost their green spaces; their views; their beach. Their infrastructure is over-burdened and under invested. Maybe they have applied for permission in an illegal area and been turned down because they haven’t known or been prepared to follow the rules of the ‘game’. How are they to be compensated? It can only be by the compensation being paid back into the infrastructure and future of the town. Where individual properties have lost a view or had their amenity significantly reduced, there should be avenues for them to claim compensation too. As with many matters relating to property, if things are done properly at the beginning it will save so many tears and so much hassle trying to sort them out later on. Without wanting to be too critical this is a rather naive view that is not too helpful to those affected by planning corruption in Spain. This article imposes a outsider’s (Anglo Saxon) mentality onto a state based on civil law and still finding its feet in terms of business and regulation. The biggest mistake one can make when investing abroad is to impose ideas and rationality from your home country. The other is to be blinded by the potential returns. Investors in China have made the same mistake. The lesson should be take the same precautions you would in your home market and learn more about the legal protection in the host country. In Spain you must instruct a lawyer and ask for options and protection – they will not offer it. Simply ask – what is my protection? 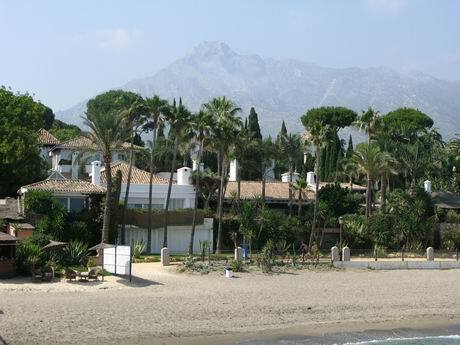 There is no need to seek recourse or compensation in Marbella because the new Marbella Town Plan will put buyers of illegal property within the new plan, with no need for further action. Owners will simply receive a letter informing them that all documents are now in order.